Miller Park is seen in the foreground as Miller Plaza, 1 Central Plaza, the Dome Building and the Volunteer State Life Building dominate the city skyline. CORRECTION: This story has been corrected at 9 p.m. on Thursday, Jan. 31, 2019, to state that Project for Public Spaces is sponsoring the conference. It had erroneously been referred to as Project for Public Places in a previous version. Chattanooga will host an international conference on public spaces this fall which should draw more than 400 community planners from government, business and nonprofit groups interested in what Chattanooga has done to develop public spaces downtown, along its riverfront and in its Innovation District. Project for Public Spaces, an international non-profit group that focuses on a community-based approach to public space, is sponsoring the conference to provide both classroom and hands-on studies of local communities. The group has worked with more than 3,000 communities in more than 47 countries and has previously held its major conferences in Amsterdam and Vancouver. Chattanooga was chosen for the week-long conference from among 10 competing cities around the world, including Paris, France; Valencia, Spain, and Kuala Lumpur, Malaysia. "It may sound a bit old fashioned, but the civic pride in Chattanooga is infectious," the Project for Public Spaces said in announcing its selection of Chattanooga Wednesday. "It's ambitious, it's fiercely local, and it's small enough to get everyone in a room together." Nate Storring, deputy director of the Bass initiative on innovation and placemaking at the Project for Public Spaces, said he was impressed after hearing about Chattanooga last year and decided to bring the next convention to the Scenic City for the Oct. 1-4 event, which is being coordinated by the Enterprise Center and the Innovation District. Storring said Chattanooga has had a history of placemaking since it began building Miller Park and the river park a generation ago and continued through the development of the 21st century waterfront, Miller Plaza, Renaissance Park, the Innovation District, the West Village and the revamped Miller park. "Chattanooga is often brought up a real model of economic development with the advent of its Innovation District," he said. "But Chattanooga also is ready to have the hard conversations about the concerns over inequality and inclusion in the development of cities." During the four-day event, organizers plan to use Chattanooga's compact downtown and free shuttle bus service to make the city its venue, visiting the Edney Innovation Center, the Warehouse Pavilion, the Bessie Smith Cultural Center and other public spaces, and will focus part of its study on how to promote equity and inclusion in developing public spaces. The Enterprise Center, Tech Town and Launch, which are housed in the hub of the Innovation District, have worked to promote digital inclusion and have helped bring back a convenience store to the low-income housing development across the street from their offices in the Edney Building. "Equity and inclusion is a challenge for all cities, but we are working hard to include everyone," Chattanooga Mayor Andy Berke said. "Equity is a founding principle in our Innovation District and I am proud to see all kinds of people in the Edney Building and in our Innovation District." Berke said bringing the global conference to Chattanooga will showcase how Chattanooga has worked with public and private entities to create and enhance public spaces. "This shows we are a leader in improving a city and making this a place where people want to stay," Berke said. 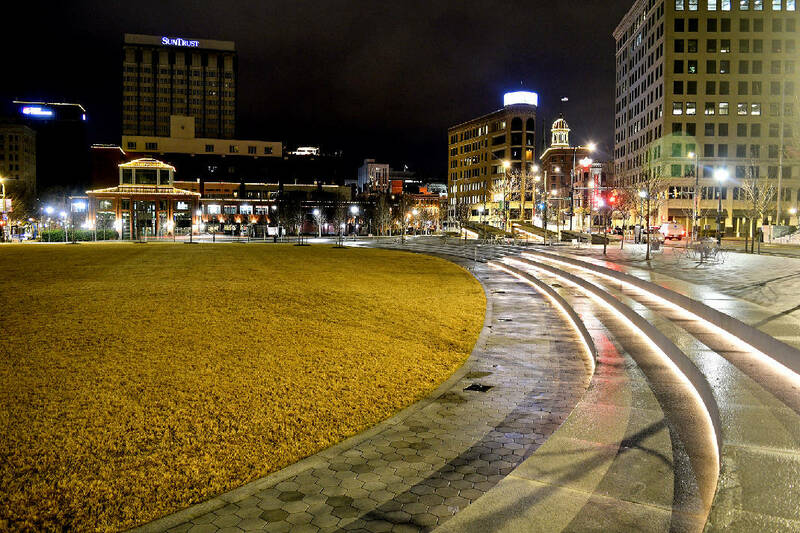 "Over the past couple of decades, Chattanooga has worked to make its streets and public places friendly and inviting for residents and visitors and we've seen a real transformation of our town." Mary Stargel, director of innovation at the Enterprise Center, was one of those who traveled to Amsterdam last year to tell Chattanooga's story. "We have a real opportunity with this conference to show how placemaking can happen on any scale," she said. "A lot of times, we look to the biggest cities for major public spaces, but we know that placemaking can happen in all communities and at the neighborhood level. And we've tried to have a broader discussion with all people to make sure that our public placemaking invites and serves all people."